Alexander Seaton, labourer, married to Jane Paterson, died in Perth Infirmary 21st October 1868 aged 51 years. His usual residence was given as Gate of Balyoukan, parish of Logierait. Parents unknown. The informant was his son Alexander. The 1871 Logierait census shows the family still at Gate of Balyoukan (5/8). The 1861 census return (Logierait 5/3) shows other members of the family. In 1851 the family had been living in Dowally parish (Dowally census 3/4). Alexander Seaton and Jane (Jean) Paterson, married 2nd January 1849 (Moulin OPR). Isabella 12 Mar 1852 James Seaton 6 Dec 1872 Cargill h.
(Jessie) 1859 . . . d.
Robert 1861 . . . d.
(Jean) 1865 . . . d.
* His monument inscription in Dowally churchyard (not Dunkeld Cathedral graveyard) reads "Alexander Seaton died at Dowally 29th December 1937 aged 87. Also his wife Jessie Ross Cameron died at Dowally 26th January 1933 aged 72. Also their daughter Jessie died 8th December 1958 aged 71. Also their son Alexander died at Dowally 28th January 1961 aged 79." ** There are three monument inscriptions in Blair Atholl parish churchyard (E7, E8, E9). Donald Seaton, late of Drumcroy, died at Kirkton of Lude 20 Feb 1913 aged 50 years. Wife Iabella McLennan died 25 Jun 1952 aged 87 years. Their son Donald died 9 May 1970 aged 80 years. The various census returns state that Alexander was born in Moulin parish, but there is no evidence for this, and that his wife Jane Paterson was born in Blair Atholl parish or Dull parish, but this is extremely strange as no Paterson families were living in the parishes of Blair Atholl, Dull, Logierait, or Moulin prior to 1861. Further investigations suggest that there is a strong case for both parties to have come from Crieff, but why they didn't want this disclosed is a mystery. Alexander Seaton and Jane Paterson's son Alexander was born in Crieff, although the couple were not living there. As he was the first child, this suggests that Jane Paterson had given birth in her parental home. Jane died at Dunkeld in 1902 when she was 72 years old, so she was born around 1830 and a Jean Paterson was born in Crieff, 15th November 1829, to James Paterson and Isabel Drummond. As Jane's eldest daughter was named Isabella and her second son was James, it would appear that the family were following the traditional naming pattern. If this is the case, then Alexander's parents should be Alexander (the name of eldest son) and Janet (the name of second daughter) and from the census returns Alexander is thought to have been born around 1818. The only couple who meet these criteria are Alexander Seaton and Janet Stobie in Crieff, who had a son Alexander baptised 22nd March 1816 (or 29th March 1814, as two records exist written at different times). 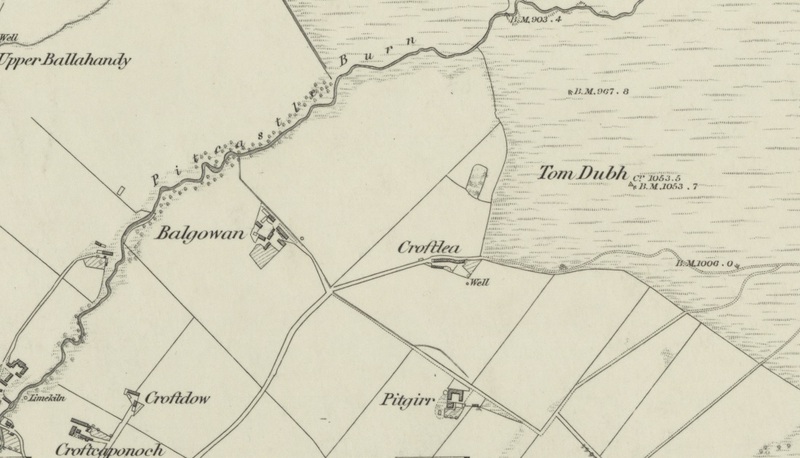 To support this theory Alexander Seaton and Janet Stobie are recorded in the 1841 census for Crieff, but there is no sign of their son Alexander.